When initially hearing about this vehicle a few years back, it was dismissed. I was then told about it by the guys at GM, once again I sort of shrugged my shoulders about it. As soon as vehicle delivery was scheduled, I started comparing it in my mind to the old Grand National. After taking delivery though.. Everything changed again. Buick to me is something I would never want to own. That is a certain point in your life type of car. I'm not going to stereotype and say old - sort of thinking experienced, or even mature. Thinking about owning a Buick, personally I don't think I'm there yet. Maybe someday, but right now Chevrolet, Ford, Dodge - they all seem to fit my age bracket, personality, and income all at once. The only Buick ever seriously considered by most enthusiasts is the Grand National, but even those are now becoming collectors items that you would almost feel bad about driving daily. Skip the 90s altogether, just because. Move into that early 2000s period when GM started to improve, but still, just don't drive those either. Here we are in 2015. Marty McFly said we'd be flying in cars, but instead we have the 2015 Buick Regal GS. When you look at this thing, the commercials are true. You really, honestly don't see the old Buick. They have done a great job styling and improving their image. Keep in mind, I am only talking about the GS model Regal. Personally I still think the regular Regal is a little too vanilla. This one though with the big wheels, black paint and better fascias; it really does look good. The Buick badges are even toned down to be one color and not all sticking out multicolored like, although they could be a bit smaller around back along with that silver stripe. We are in the middle of January here in Akron, so the AWD model was sent our way, and thank goodness. Onto the non-winter driving. I was finally given some dry days to see what this car could do. When you look at the GS specs, I notice one glaring issues. A turbo four cylinder is installed in this guy. The major power that we love and crave is missing, but this car has enough. It isn't something to go crazy over, but all you have to do is point and shoot and it will get you there. The suspension is smooth, comfortable and easy on your back, even being GS. Once you press that magic GS button on the dash though...Everything comes alive. The shifts sharpen, steering effort is increased and feels tighter and of course the suspension magically gets rougher. 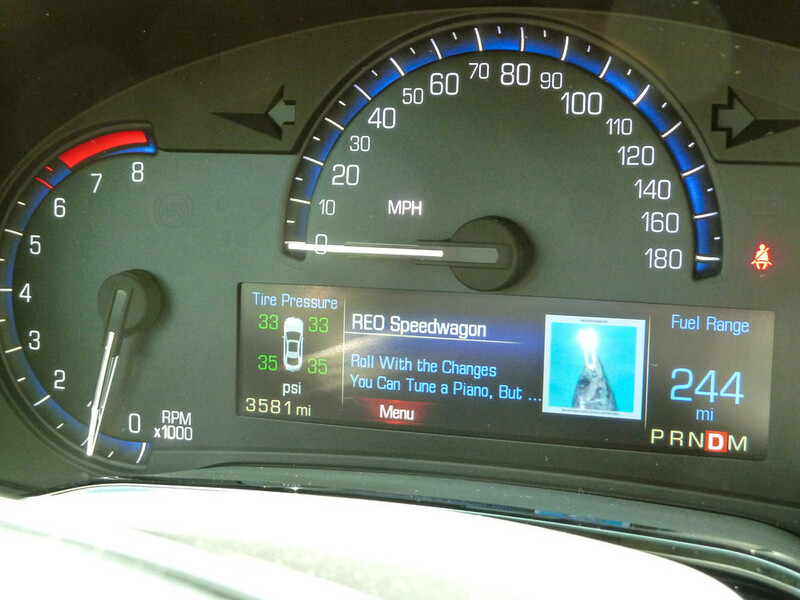 Even the gauges change! I mistakenly assumed and read online that this suspension is magnetic. Buick social media was quick to correct me, not magnetic. Either way though, the GS button was constantly on during my test because it made the car perfect. The GS has one of the nicest interiors I have ever experienced. Even looking back to the V-Sport I drove last Summer, this thing just comes together perfectly in a way the big Caddy can't match. The seating, steering wheel, electronics and driver position are all perfect. Sitting inside, it has a cockpit like feel that you don't expect in a Buick. Being $45k though, it is absolutely loaded from head to toe with everything you would need. Power everything, IntelliLink, navigation, digital dash, heated seats/steering wheel, adaptive cruise and much, much more. The electronics on these vehicles all seem to be non-wowing anymore because they work so well. The navigation/Onstar integration worked flawlessly as did the IntelliLink. GM and Buick have pretty much ironed all the bugs out of making an interior advanced and reliable. I cannot stress enough how amazingly good the seats were in this. Being GS, they are specific to that trim line and I'm not sure how different they are compared to the standard Regal, or if you can get them anywhere else at all. They were comfortable and supportive with great bolsters and nice looks. It didn't take long to feel right at home inside this car because it basically fit around me like a pair of Mechanics Gloves. Like I said before, this car was an unexpected surprise. Really going into it with little excitement, then leaving wanting more. 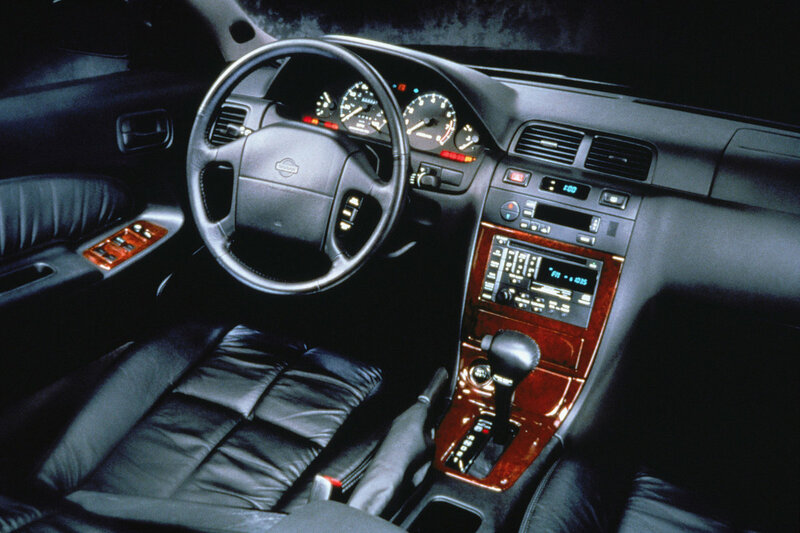 The selling point for me is the interior setup. Everything was laid out perfectly and the seating was amazing. When you drive this car, taking in the overall experience is what makes it so good. If you base it solely on the performance, plan to miss out on some great stuff. This car does perform, it does go in the snow, the interior is comfortable and the amenities work flawlessly. Pack that altogether and you have a great whole package vehicle. I mention in the film that you won't draw attention to yourself in this. For some people, that is a great thing. When you pull up in a Buick, people will not be running out to give you high fives and put you on their Instagram. That is all ok though. The GS has the goods to make you happy and make you feel like you drive something unique. Buick has come a very long way in the past twenty years. If you are considering going with one of these, just know that you will absolutely not be disappointed. Clothing for this review provided by Buckeye Clothing Company - Click the logo to visit their site! The front end looks perfect from any angle. The excitement level building to this review has been unmatched. Even though I am a V-Series V8 high torque kind of person, I still found myself curious as to how what I've heard about this vehicle was possible. Upon arrival, we were greeted with a striking Opulent Blue Metallic paint scheme that exploded when exposed to the Florida sun. The Cadillac design improves with each new model and when you compare this to the first gen CTS, you'd be amazed just how easily it is trumped by this. The front fascia is aggressive with massive gaping holes and openings. Cadillac used just the right amount of Chrome to let everyone know what you're rolling with, and the grille mounted emblem is there just in case you like flaunting what you own. LEDs are so slick on this front end and also placed perfectly. The creases shooting up the hood make the CTS look like it's going at speed just sitting still. Our week with the V turned heads and prompted conversations. Whenever that happens, the questions people ask are always entertaining to field. Either way though, the fact that people notice you in this thing tells you something. GM did an amazing job on the styling to catch the eye and make people wonder. Once again though, and I know this has been beat to death, the rear end... Just like the new Impala and Ford Fusion, the '14 CTS needs more back there. With a front end like this one, you have to keep the momentum going somehow back there. I'm sure the designer can defend all the lines and shapes easily, but for me it just needs more. Aluminum pieces are used randomly to save weight, which is the big thing with cars nowadays. Saving weight because we are gaining weight in government mandates and technology growth. I'm going to say this vehicle has a few hundred pounds of just wiring run throughout, so the aluminum doors are quite useful and necessary. 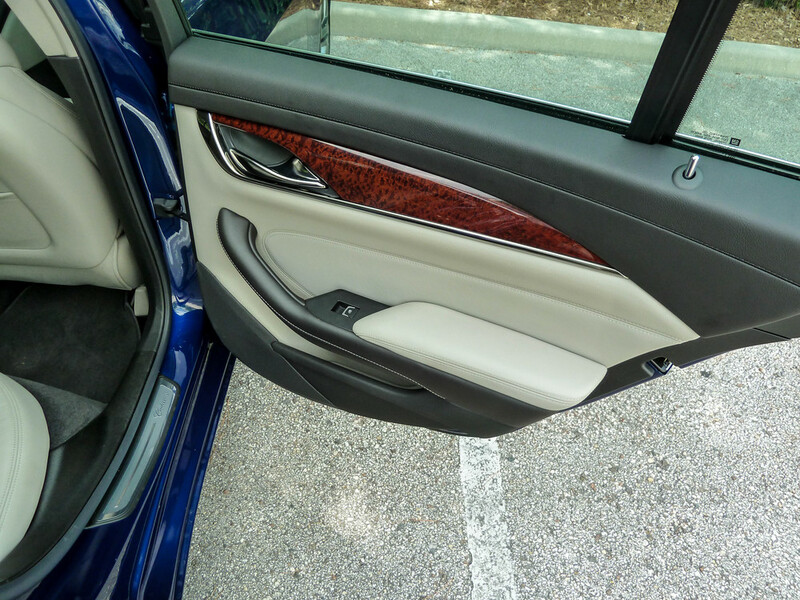 When you sit down and close the door, this is when you fully realize you are in a Cadillac. The whisper quiet interior is filled to the brim with goodies. 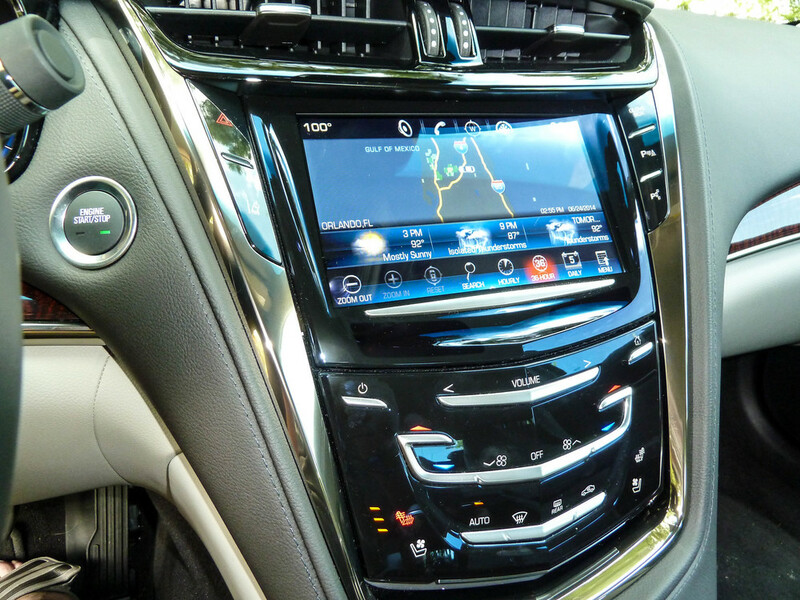 Piano Black surrounds the Cadillac CUE system, which is short for Cadillac User Experience. This system has been plagued with bugs and issues that we have heard about through the grapevine. During the week though, we found it to be very user friendly and mostly bug free. 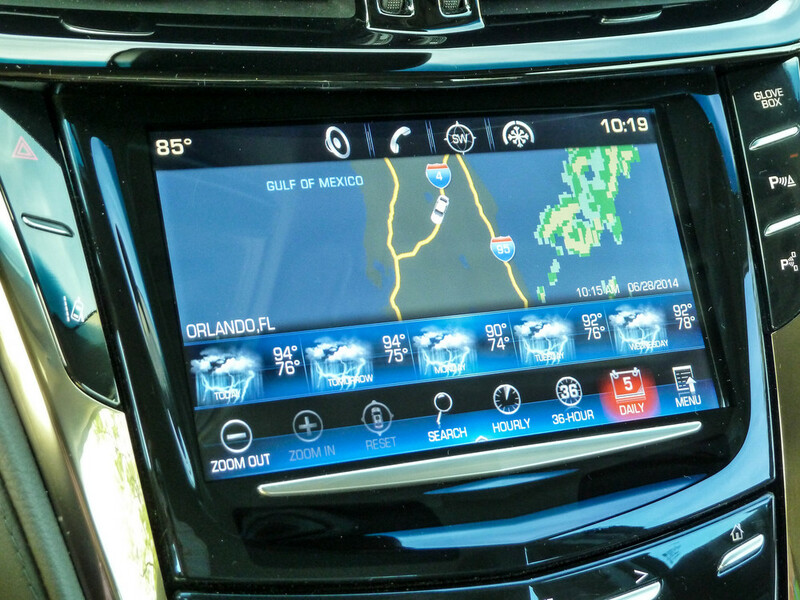 The system is very similar to the GMC Intellilink we reviewed a few months back. Below the touchscreen is a touch style setup for the HVAC controls. These all have a small vibrate feel each time you press one, but they aren't actual buttons like you'd be used to on something else. I'm still on the fence with this type of setup, it took me a number of days to get the feel and accurately press what I wanted. The neat part about this section of the dash though - you press a button (another touch pad), and the entire panel of buttons raise up to reveal a hidden compartment with USB port. Very clever and an awesome way to hide your iPhone or whatever else needs to be out of sight. 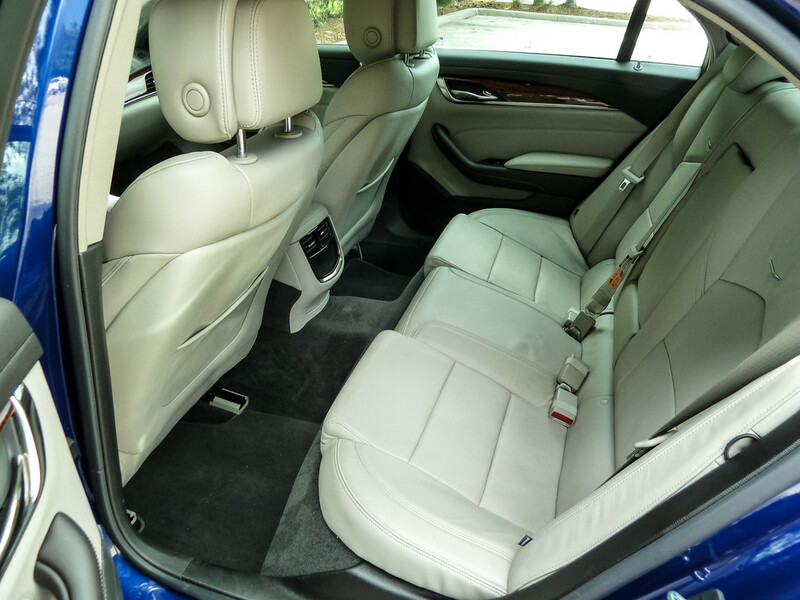 The platinum leather seating is nice and solid, providing adequate bolstering and comfort for the driver and passengers. The thick steering wheel was amazing, with magnesium paddle shifters and a very clever button/switch layout that helps you navigate the secondary screen between the gauges. 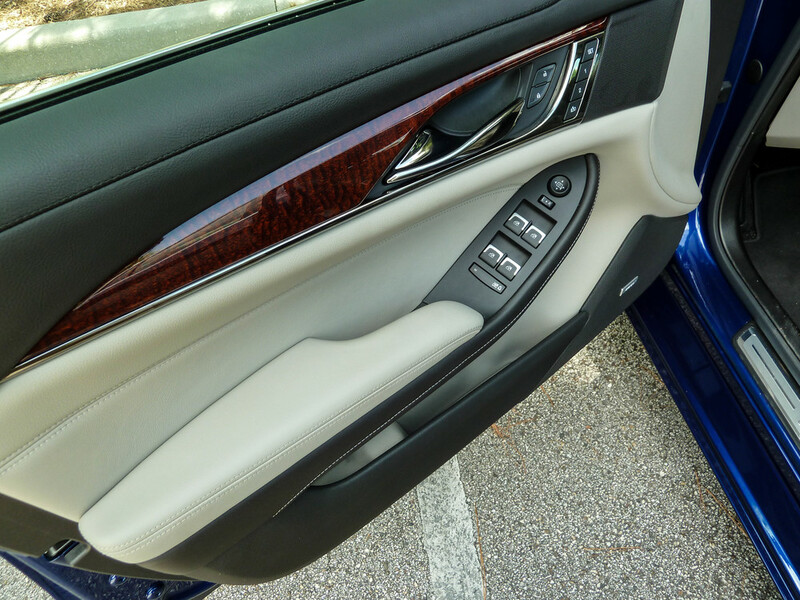 One thing kept happening with the touch style controls in the center stack; the seat heater button kept getting touched without knowing it. Well, it was realized when the seat warmed up in the 90+ degree Florida heat. The cooled seats needed a higher fan speed though. On the highest setting, we couldn't feel much of anything. Driving the Vsport was interesting and full of surprises. When I see 400 or more horsepower, I'm expecting big things. The idea though, that Cadillac managed to wrangle this out of a six cylinder is just crazy to me. They achieved this with twin turbos, direct injection, and a very short air path from the turbos to the single throttle body. All of this power is mostly available from 2500rpm to 5500rpm. The throttle body is mounted on top and the turbos are actually smaller than most. This was all done to eliminate lag and give you power on demand almost all the time. The torque numbers are there, which is usually what I love on a performance vehicle. 430lb-ft is serious, but I didn't quite feel that if I'm thinking back to the neck snapping acceleration. This thing is quick and will get moving in a major hurry, but there is a reason this is the V-Sport and not the V-Series. It does have the feeling of quickness, but the acceleration isn't violent like an LS engine would be. The crazy clever V6 is mounted to an 8-speed automatic, no manual option is available. 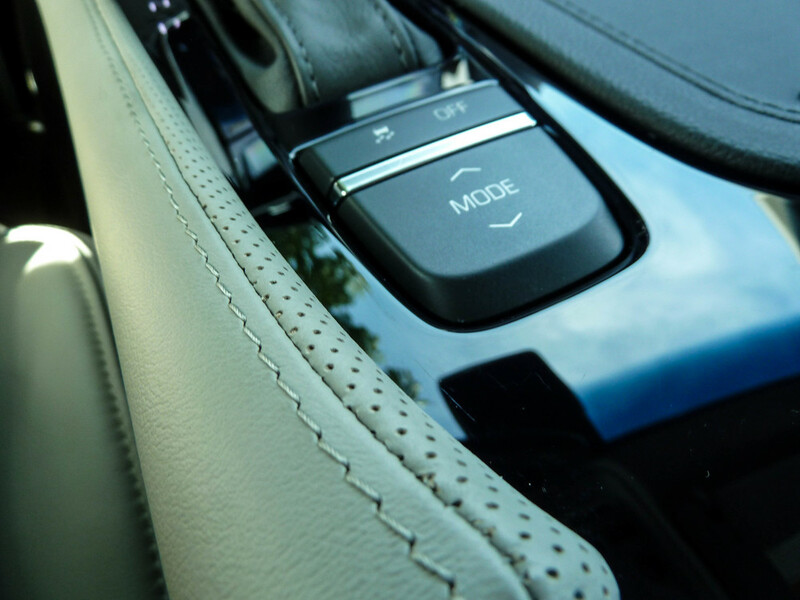 There are numerous driver modes which are adjusted through a switch on the center console and the center gauge readout tells you which you have selected. Tour and Track modes were two of the most fun options, which changed shift firmness, suspension settings, steering feel, and even the exhaust note. Track mode was by far the most enjoyable, although not the most comfortable for people in the back seat. I absolutely loved the exhaust note on wide open throttle, it seriously sounded exotic and made me forget that it wasn't a big V8 under the hood. Cadillac made the exhaust note more prominent through microphones and speakers, basically the actual sound is somehow piped into the car. However they did it though, it sounded absolutely perfect. The cornering and handling on the V-Sport is basically like glue. No matter how fast we would take a turn, this four door sedan was planted and solid. Oversteer was nonexistent when throttling through turns and basically it would corner as hard as you could pull the steering wheel. Simply amazing for a big four door sedan that in all reality was reserved for Sunday cruises twenty years ago. All of the steering dynamics are courtesy of ZF, which is normally on our favorite German vehicles. 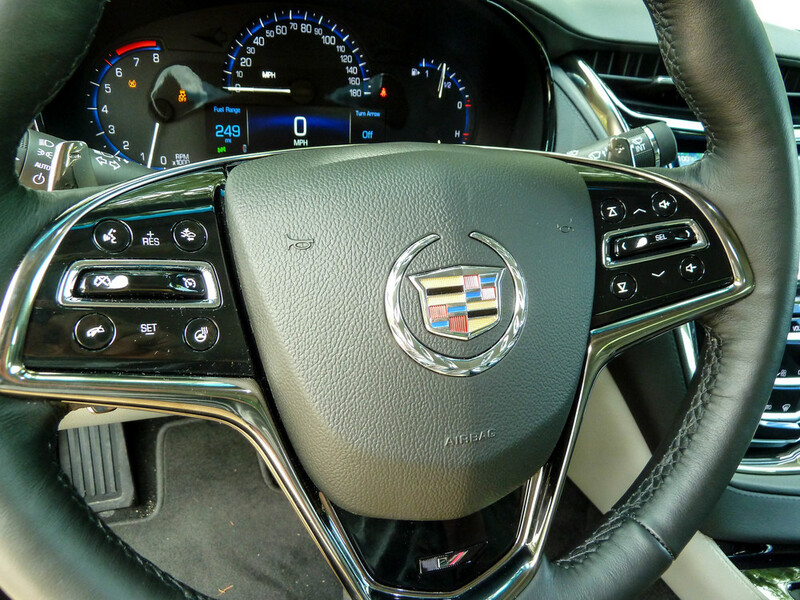 On the more normal side of driving, the CTS is comfortable and functional. Magnetic shocks adjust the firmness on the fly and also based on which driver mode you are in. Four passengers fit very easily, parking was simple, and cruising along had a certain feel of prestige to it. This is one of the newest Caddy's you can buy, and when you park anywhere chances are you won't see another one, especially another V-Sport. Huge Brembo Brakes and sticky Pirelli Tires keep the V-Sport in check. 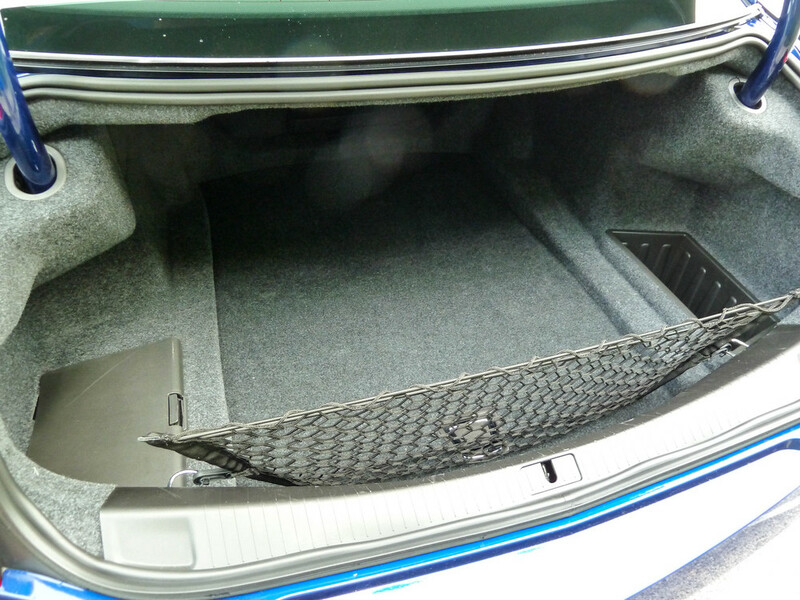 Aside from the raw power this vehicle offers when you want it, you will find the CTS loaded with technical goodies. When we first started driving, it was a little bit of an overload. The drivers seat was vibrating, the seat heaters accidentally came on, and connecting to OnStar was a chore. Basically, these new techy vehicles are kind of difficult to just jump in and go with. They take a certain amount of time to setup and configure. Our seat was vibrating because the parking garage had lines painted on the ground, so therefore the Cadillac thought we had fallen asleep at the wheel and were veering left of center. A couple of setting changes fixed the issues and most of the driver aides were turned off. One that I found very interesting was the collision avoidance system. 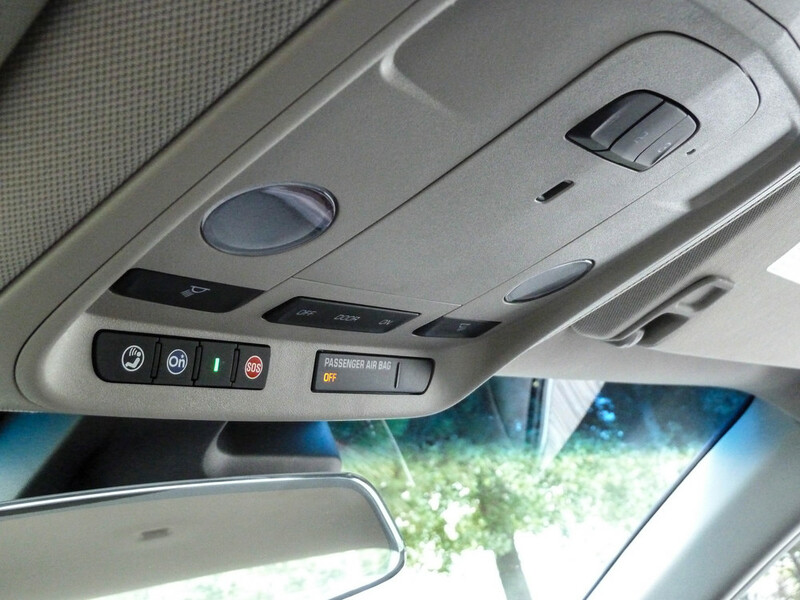 When you aren't paying attention, your seat will vibrate and a bright red LED light will flash on the windshield. This was pretty impressive and the list of safety aides is massive with the CTS. Most of them I really have no interest in trying out during a road test. We did take a minute to learn about the automatic parking and I will say they've done it. Basically you hit the parallel park button next to the CUE, and then you drive slowly and search for a space. Actually, the CTS looks for the space. Once a spot of the correct size is located, the dash screen tells you to put the car in reverse and let off the brake. Basically, the system is handling the steering and you do the rest. I was pretty creeped out though watching the steering wheel go nuts and then magically parking itself. The CUE system is almost identical to the GMC Intellilink setup we tested awhile back. The system has allegedly been full of bug and issues, but we didn't see much of that. I do wish it was a little zippier and quicker to react when something is selected. The home screens had many holes or blank spots. Reminded me of a cheap Toyota where you can tell there might be buttons there if only you spent a little bit more money on your car. Lots of icons seemed to be missing, but maybe this is for updates or other expansions. On these GM systems though, I'm finding they have a tough time using any audio that isn't preferred. Basically if I want to use an app on my phone that isn't integrated into the touch screen, you have to really work at it to get it going. The system wants to automatically revert back to the native iPhone music player each time. Another item on the wishlist I suppose. Overall though, the system worked much better than expected and I was massively impressed with the sound quality and Bose setup. 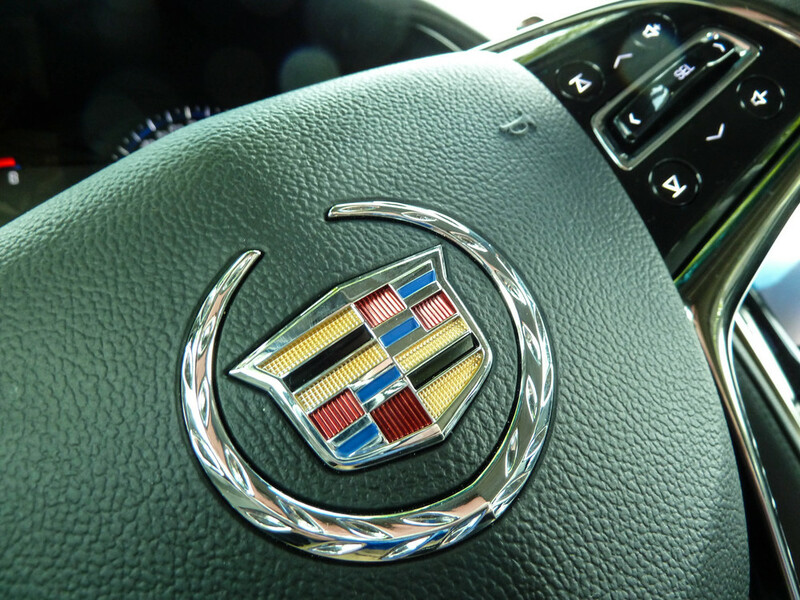 When looking for a performance vehicle, Cadillac is one that wouldn't come to mind 10 years ago. Now they are one of the best and in more ways than just performance. This car truly does feel world class in build quality and style. Cadillac Shield is included with this vehicle. That means you are given a six year, 30k mile warranty and also four years of full maintenance. Your free Onstar is also good for one year, instead of six months like a standard GM vehicle. The reason I'm telling you all of this is very simple: this car is kind of scary. The V-Sport is not scary because it has 400+ horsepower or because it will do 0-60 in 4.4 seconds. This car is scary because of the technical aspects involved. I have full faith that Cadillac has put together an amazing product and I can attest to that from the time I spent. This vehicle is absolutely amazing and well appointed. While driving it though, I constantly found myself thinking what could go wrong? How much would this cup holder cost if it broke? What would my service bill be if the exhaust microphones failed? I know as a reviewer and writer these things should not get in the way of my opinions, and they honestly don't. The V-Sport is GM and Cadillac at their absolute best. The Germans have something to be scared about and for those who think you can't have fun in a four door sedan, go drive this. Your opinions will be changed each time you press the start button. With the amazing performance of this car though, I now find myself wondering: What could Cadillac possibly have coming with the next generation V-Series?